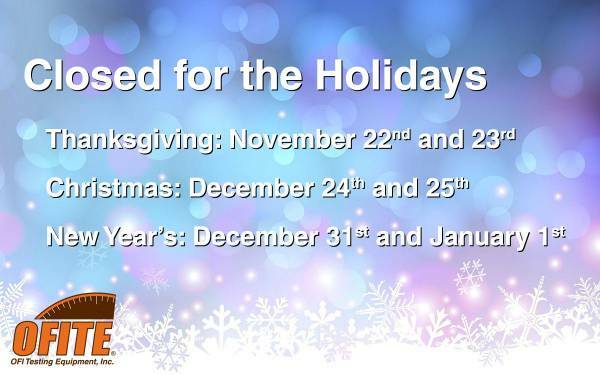 Holiday Hours - Newsroom - OFI Testing Equipment, Inc.
We want to take this opportunity to wish you and yours a safe and happy holiday season. As we celebrate another year of providing dependable, quality service, we acknowledge that our progress has been made possible because of customers like you. Thank you for allowing us to serve you!